Matt in The Creamery Café at Apley Farm Shop sent me this Recipe of the Week earlier today – I’ll replace this with a proper recipe card next week, but at least this may give you a good weekend recipe idea ! I’m about to write about all our meat producers & suppliers, so our customers can know more about where their meat comes from. 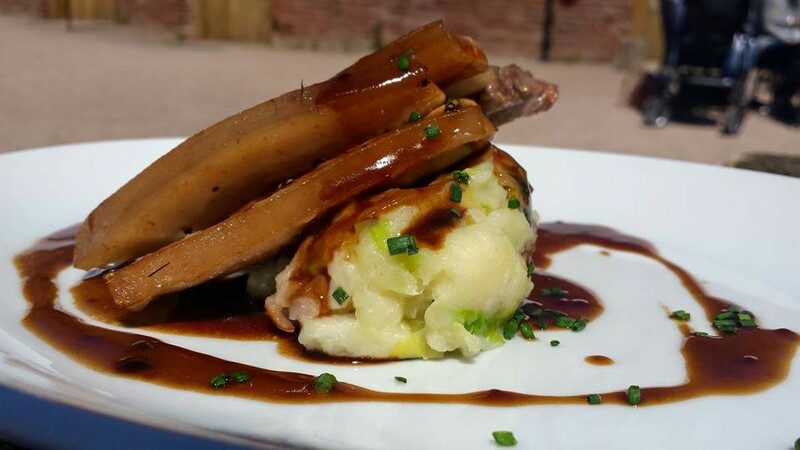 Apley’s in-house butcher, Craig Whitehouse, has plenty of pork with which you can get cooking ! 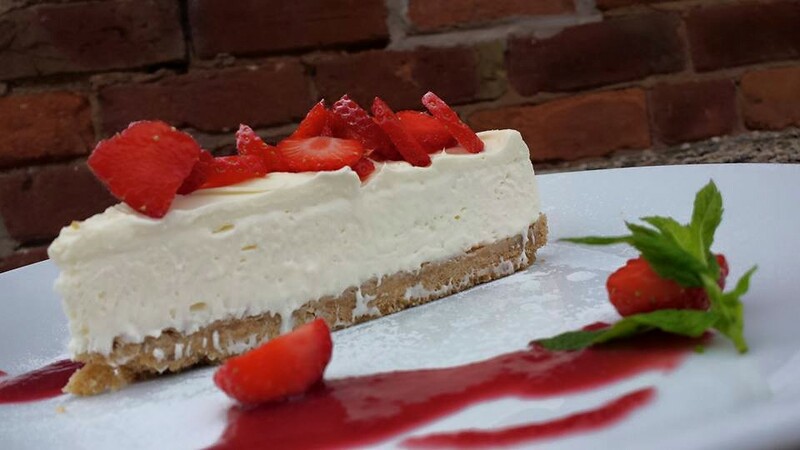 This perfect pudding Strawberry cheesecake (which is Cake of the Week, made with our first English strawberries) is made onsite by Julie & is for sale in the Farm Shop. Phil’s Apley Walled Garden artichokes, are in season right now & also available. Place potato into a pan of salted cold water & bring to the boil 15-20 minutes or until tender when pierced with a knife, before mashing together with a knob of butter & seasoning to taste. Place smoked bacon on a baking tray & into the oven for 10-13 minutes until crispy & allow to cool before slicing up thinly. Take the slices of pork belly & pat dry with kitchen paper lightly season. Preheat a pan with a drizzle of oil until hot & gently place the pork pieces. Cook on a medium heat turning after 6-8 minutes when they should be a good colour. Cook for a further 6 minutes then drizzle with the maple syrup. Remove from pan & keep warm. Meanwhile in the same pan, sweat the chopped cabbage until cooked then add to the mashed potato along with the smoked bacon. Quenelle (make into meat balls) the colcannon* potato into the centre of the plate topped with the pork belly. Garnish with the cider jus. *Colcannon is a traditional Irish dish mainly consisting of mashed potatoes with kale or cabbage. It is also the name of a song about the dish.